Scaffold Resource is thrilled to be one of the top rated scaffolding companies in the Washington, D.C. area. Our company can trace its history back to 1996, when principals Charles Weiss and Jeffrey Belfield founded their own scaffolding company. Scaffold Resource’s reputation for excellence has led us to work on some very high profile projects throughout Washington, D.C. From the Lincoln Memorial to the National Capital, we have provided shoring and scaffolding for some of this country’s most cherished buildings and monuments. Whether you are in need of a sidewalk canopy, shoring system, or scaffolding rental, Scaffold Resource is sure to have the right solution for your needs. We are a top scaffold resource near Washington, D.C., and we will assist you throughout your project. Call us at (301) 924-7223 to receive a quote for your next scaffold rental. A fall from a scaffold is a serious accident that could cause major harm to a worker. As you are planning for a scaffolding rental, you will want to work with your scaffolding company to make sure that your workers are aware of the safety risks of scaffolds. To prevent accidental falls, you will need to make sure that your scaffold is rated to hold at least four times more than the expected load. If you are seeking a safe, high-quality scaffolding rental serving Washington, D.C., contact Scaffold Resource. 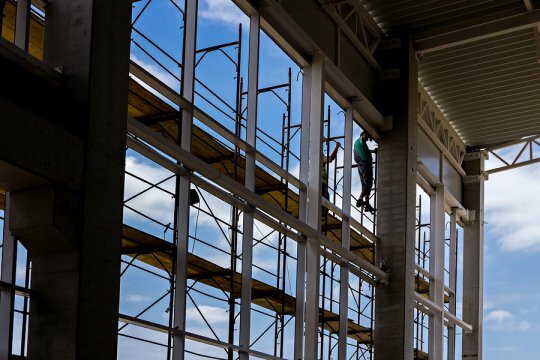 We proudly offer construction scaffolding for use in a variety of industries, and we will help you make sure that your scaffold is safely erected on your job site. To learn more about renting scaffold equipment, call us at (301) 924-7223. If you’re interested in a scaffolding rental, you likely have a building or construction project that requires a scaffolding system. The purpose of construction scaffolding is to give construction workers safe access to all areas of a building during a building project. However, scaffolding is only safe if it is used properly. Read on for some smart scaffold safety tips to use during your next construction project. It’s important to inspect your scaffolding rental each day before using it to ensure that nothing has been tampered with overnight. In addition, regular inspections will alert you to any damaged areas that need to be fixed. If you find any issues during your inspection, be sure that the scaffolding is not used until these problems are taken care of. You should receive instructions and a parts checklist when renting scaffolding. Double check your list to ensure that you’ve received all of the assembly parts, including special locking pins and cross braces. When assembling the scaffolding, be sure to follow the scaffolding instructions to a T by installing every piece correctly. That means you shouldn’t take shortcuts by neglecting the installation of safety braces and outriggers. The purpose of these devices is to keep workers safe, and without them an accident may very well occur. Ensure that workers are aware at all times and are taking every precaution to avoid injury. This means wearing hard hats and protective clothing. Workers may often feel that this precaution is unnecessary. However, accidents occur all too frequently, and being prepared by wearing protective gear is the first step to avoiding injury. Also ensure that all tools and materials on the scaffolding are organized and accounted for. This will help prevent equipment from falling off the scaffolding. Are you looking for scaffolding rentals in Washington, D.C. ? Scaffolding Resource is prepared to help you with all of your scaffolding needs, including scaffold rentals and safety. Call (301) 924-7223 today to learn more about renting scaffolding for your upcoming construction project. For building projects that require workers to access hard-to-reach elevated areas, such as the ceilings of a massive cathedral or hotel lobby, dance floor scaffolding provides safe ceiling access. Unlike stair tower scaffolding, dance floor scaffolding can accommodate multiple workers. This means a large-scale ceiling renovation or repair project can be completed in a shorter time frame since multiple workers can access the ceiling at the same time. If you have a need for dance floor scaffolding in Washington, D.C., contact Scaffold Resource. We provide consulting and erection/dismantle dance floor scaffolding services. We also rent many other types of construction scaffolding, and our engineers can help you design a scaffolding plan to meet the specific demands of your project. Contact us online or call us at (301) 924-7223 to learn more about our scaffold rental and erection services . What Is the Right Scaffold for Your Project? Unless they plan on using it for just about every project that they work on, most contractors and construction companies opt to rent scaffolding instead of buying it. This is a great option because there are many different types of scaffolding available through companies like Scaffold Resource. By renting it, you will be able to get access to the exact type of scaffolding you need. But before you rent scaffold in Washington, D.C., consider which type will suit your project best. Here are a few of the scaffold types that will be available to you. Are you planning on doing an expansion or renovation project? If so, this type of scaffolding is best. It will help to support an entire structure while you are working on it, and it will also allow you to get access to the structure throughout the process. If there is any risk of a structure falling over or collapsing during a construction project, you should make sure that shoring is used. During the construction of a building, there will come a time when you and your employees will need to walk from one floor to another. The problem is that, often times, stairwells haven’t been built to provide you with access to higher floors. Stair tower scaffolding will allow you to move between floors without the use of stairways. If you are tackling a construction job that requires you to access ceilings, you will need to rent scaffolding to do it. Dance floor scaffolding is designed to give you access to ceilings, including those that seem like they might be too high for you to reach. With the right scaffolding, you can complete work on any ceiling easily. 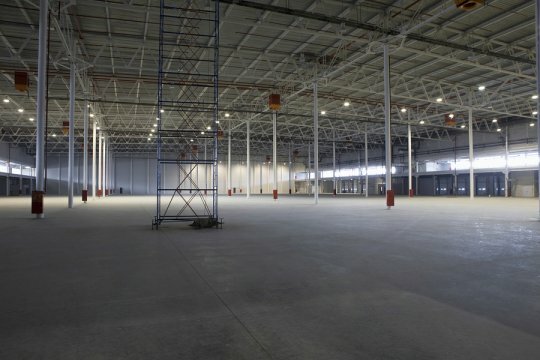 While dance floor scaffolding allows you to access ceilings with ease, this type of scaffolding will give you direct access to the walls on the interior or exterior of a building. Scaffold Resource carries a large inventory of scaffolding rentals. You can contact us at (301) 924-7223 to find the right scaffolding for your next construction job. What Are Some Common Trenching and Shoring Hazards? Is Your Company Benefiting from the 2018 Construction Boom?